Beautiful 2 bedroom, 2 bath home nestled in Marble Creek subdivision near the 202 freeway, Usury Mountain Regional Park, shopping and more! True pride of ownership shines throughout the house. 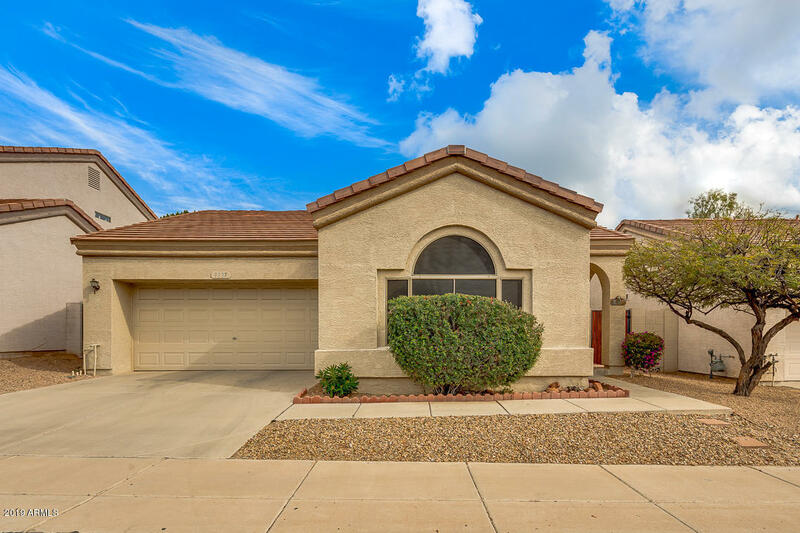 Impeccable interior boasts vaulted ceilings, tile flooring, carpet, updated lighting fixtures, neutral color palette, split floor plan with living/dining area. The spacious kitchen has granite counter tops, SS refrigerator, built in microwave, ample cabinetry & extra storage. Step into your master suite with large picture windows for natural lighting, walk in closet, full bath & double sinks. The large guest bedroom is adjacent to the hall bathroom for easy access. Dont forget to check out this grassy backyard with covered patio just perfect for relaxing, peaceful afternoons! !